We've just launched a promotion in collaboration with Grafiklab, Hotsy Totsy Jewellery, Styling by Leigh, Glamorous Life, Glamour Dollz Make-Up, Blossom Headpieces, Dropdead Gorgeous Daily, Fashion TV Australia and The Good Guide. All you have to do is submit your best statement outfit here. Submission are open now and voting opens in 2 weeks. 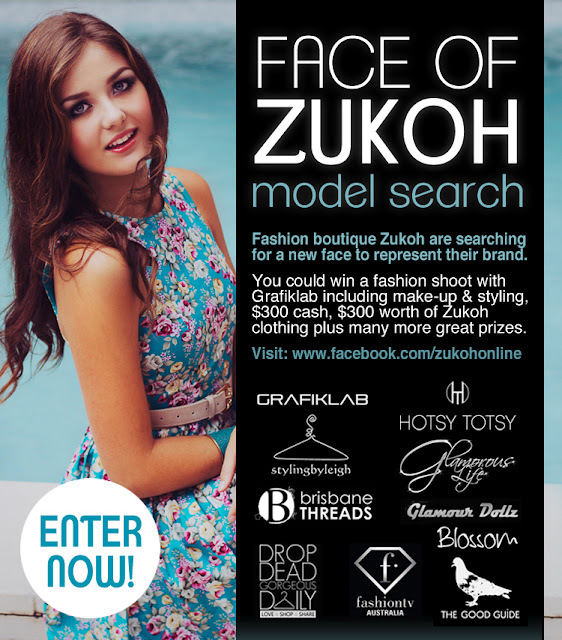 The winner must be able to make the photoshoot in May on the Sunshine Coast/Brisbane. We're also looking for bloggers who would be interested in being part of our judging panel to select the winner from the people's elected Top 10. If you're interested in being a part of this let me know in the comment box below. Ahhhh, Lynette I'm so excited about this!!! I would absolutely love to be on the judging panel and would be happy to spread the love on my blog too! :) Can't wait to see all the lovely entries that will be coming through! Hope you are well and that you have a beautiful weekend! Sounds amazing! Would love to be involved.